Planning to set sail on your very first cruise can be a little intimidating. Follow these savvy tips and tricks from experienced travelers and you'll be one step ahead of the game. When deciding what to pack, check the weather forecast for all the ports you'll be visiting - and don't forget to consider what type of clothes you might need for specific shore excursions. If you want to skip the massive lines at boarding, check in several hours after the boarding time begins. Introduce yourself to your waiters and room attendants. They are people too - and they'll appreciate the courtesy. Always take your passport with you on port calls. Use a fresh plate every time you return to the buffet. At full-service meals, order exactly what you like. Two appetizers? Three desserts? Go for it! And don't forget to take advantage of room service, which is usually included. Research ports before you travel. You'll get a lot more out your trip if you know a little bit about the culture, history, and activities available at the places you will visit. One last tip: Book shore excursions early to make sure you get to do the things you want to do. 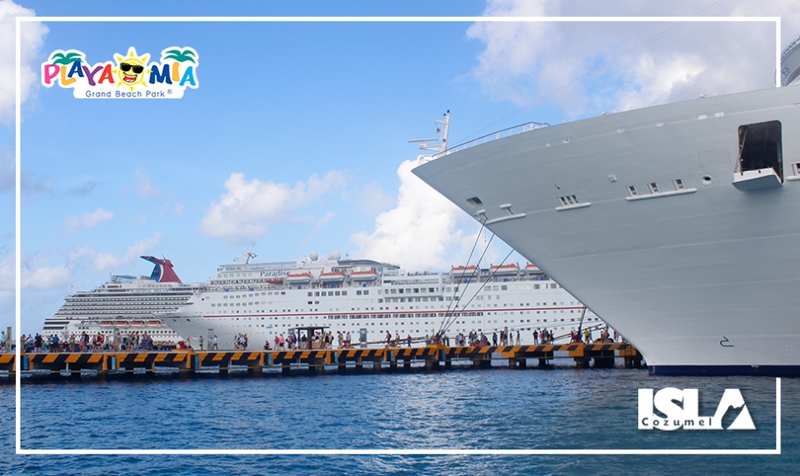 Playa Mia Grand Beach & Water Park makes it easy to enjoy the best of Cozumel - and the best of your very first cruise. Bon voyage!